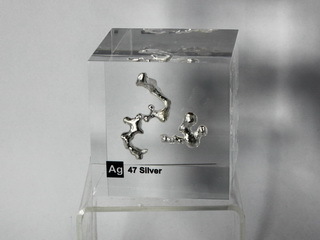 Silver was known to ancient civilizations. 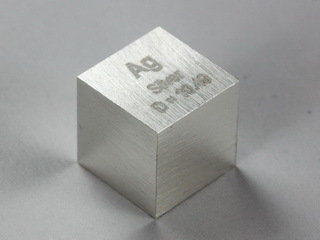 Silver is a soft, malleable metal with a characteristic sheen. 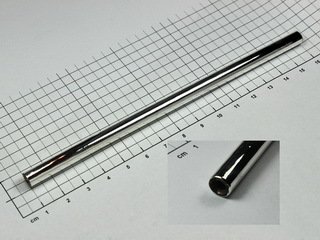 It has the highest thermal and electrical conductivities of all metals. 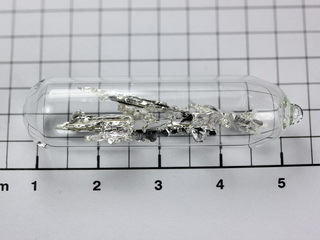 It is generally found uncombined, or in the sulfide or arsenide ores from which it can be recovered as a cyanide complex which is subsequently reduced to the metal, in aqueous solution, by the use of zinc. 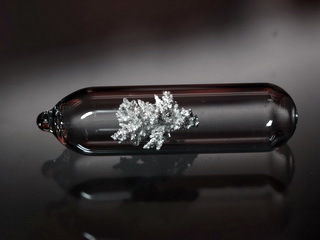 The pure metal is stable to water and oxygen but is attacked in air by sulfur bearing compounds to form the characteristic black layer of silver sulfide. It is soluble in sulfuric and nitric acids. 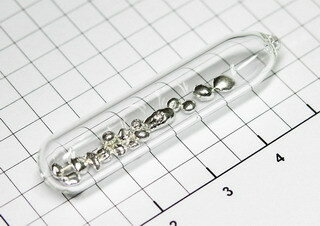 Some silver salts are sensitive to light (e.g. AgI, AgCl and AgBr) and are of fundamental importance to photography. 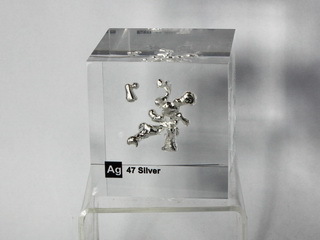 Other applications and industries in which silver is used include the manufacture of jewellery (both as the pure metal and as a constituent of various alloys), the electrical industry (e.g. in the manufacture of contacts) and for the silvering of glass.